Hang over baby in the pram or on the soft top of the push chair. Entertain baby when on the road. May be mounted with separate clips. Clips are not included. Made of 100% certified organic cotton, printed with environmentally friendly colours. 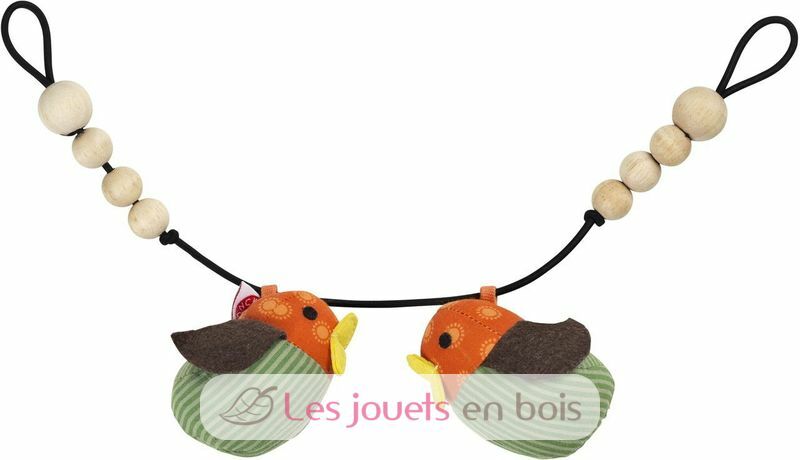 Astrid Orange pram rattle, a toy made by Franck & Fischer. Item number 1501-3122.